Team GB’s manager and official photographer, Simon Bassett, gives us his reflections on the ISA World Champs that were recently held in Sayulita, Mexico. Over to Simon for the low down. Now everyone has travelled back to the UK, Team GB can reflect on their overall result of 15th out of 27 countries. The contest was an epic one with a full A-list presence including the likes of Danny Ching, Candice Appleby, Casper Steinfath, Mo Freitas, Sean Poynter, Izzy Gomez, Nicole Parcelli, Zane Schweitzer and Connor Baxter – to name a few. Further down the ranks and the list of ex world champs within the comp made up the rest of numbers. Some teams came with a full support of physios, trainers, surf and race coaches and tacticians. The bottom line: this wasn’t a ‘breeze’ of an event. Everyone was there for one reason alone: to win! I watched and took pics of the team and all of without question put in 110 % effort at the comp in Sayulita Mexico. The contest site right on the town beach was a hot and sweaty place when you live in the UK. Daytime temps often reached 30 /35C and the humidity was a killer. UK male SUP surfers Matt Barker and Smith Glyn Ovens looked in very good form but both had heats with irregular surf patterns. 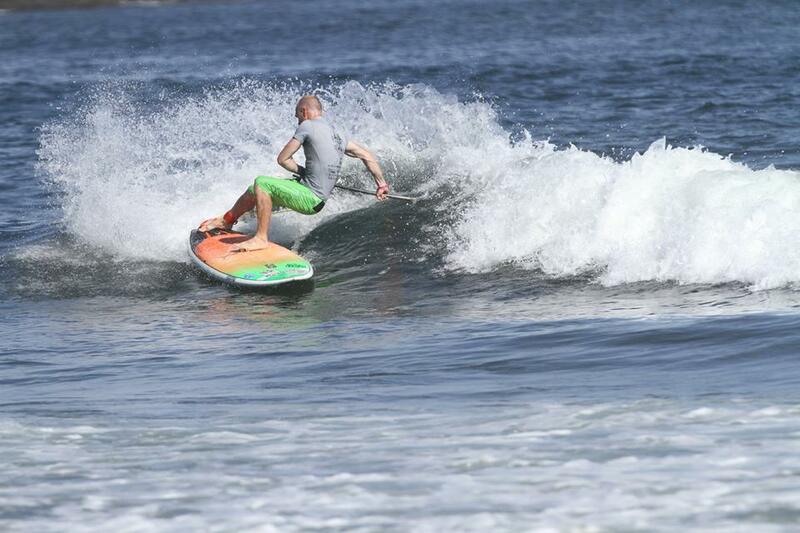 Matt’s in particular was light on decent waves even though he looked like he was surfing well. The guys who beat them both just had a few extra moves up their sleeve and most of these riders seemed very happy in small waves. Holly had the same experience with first heats. 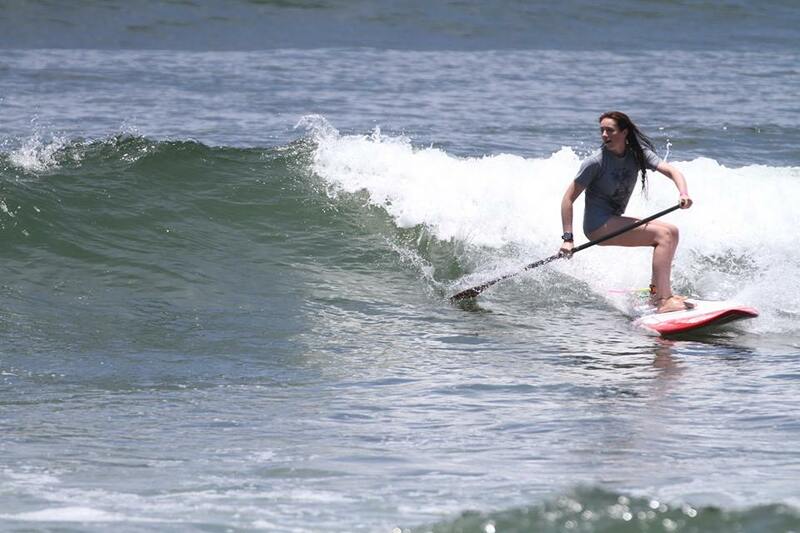 However, against full time pros she surfed her heart out in what was some seriously tough competition. In the end Matt was 25th, Glyn 37th and Holly 16th. Ollie Shilston in the 20k distance started well but got into a train of riders that faded and left him alone in between two groups for the entire event. During his tech races he looked in good shape in the heats and was sitting 10th. A dog interrupted his start during at the final and he ended 21st overall – the same as the 2OK. Andy Joyce worked super hard throughout the contest and he pulled in a credible 34th in the 20k and 29th in the 4k technical on a rental Rivera board no less! 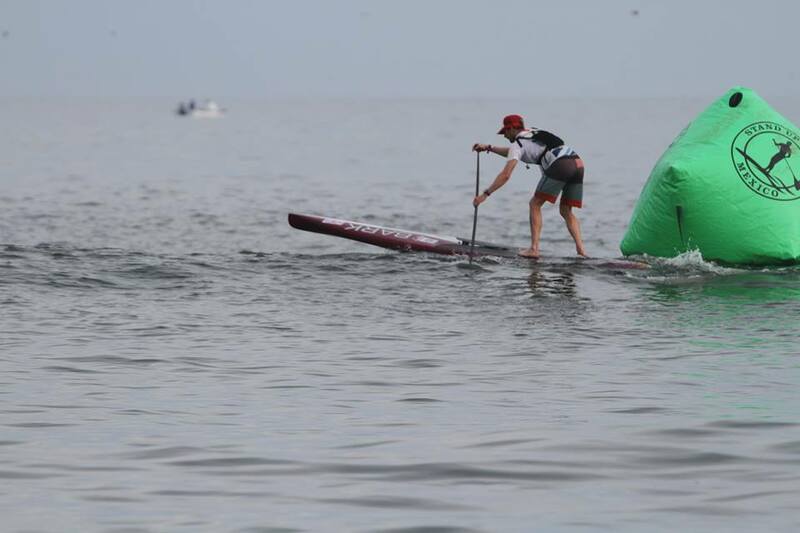 Marie Buchanan gets worked up before events and she’s fully in the zone – it’s great watching her prepare and when she hits the water she shifts into fifth another gear. After a bumpy start she came 10th in the 4k and the 20k – Team GB’s top result of the whole event and very well deserved. Glyn Ovens was our prone paddler and he slogged it out on a borrowed board over 20k to gain Team GB essential points. The relay team – Holly and Glyn on prone, Marie and Andy on SUP – went for it but unfortunately got knocked out. The whole team had a real laugh while in Mexico. Myself as team manager and chief photographer, Paul Simmons as team support and the crew really bonded together.We had chance to compete in the first World SUP Polo Championship where we entered two teams. Ultimately we were beaten by Team Action from Barbados but Team GB 1 went on to get third. Post event the 2016 selection process is underway with a new committee who are considering the options and structure for selection for next year’s ISA World Championships.One thing we realised this year is the need for a prone men’s and women’s team to be part of the mix. Without this overall scoring is reduced significantly as points are award equally across each disciplines. Stay tuned for more announcements on next year’s selection.